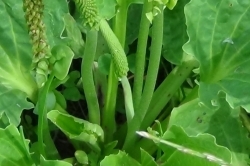 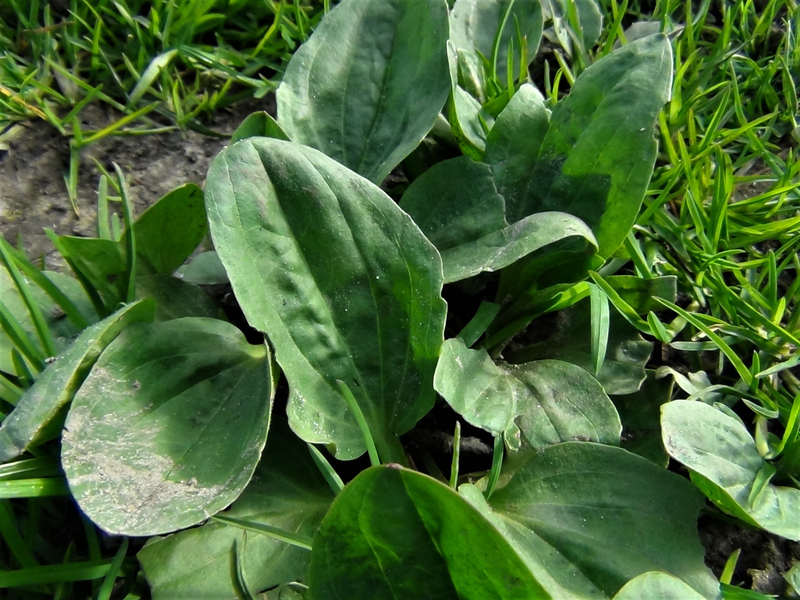 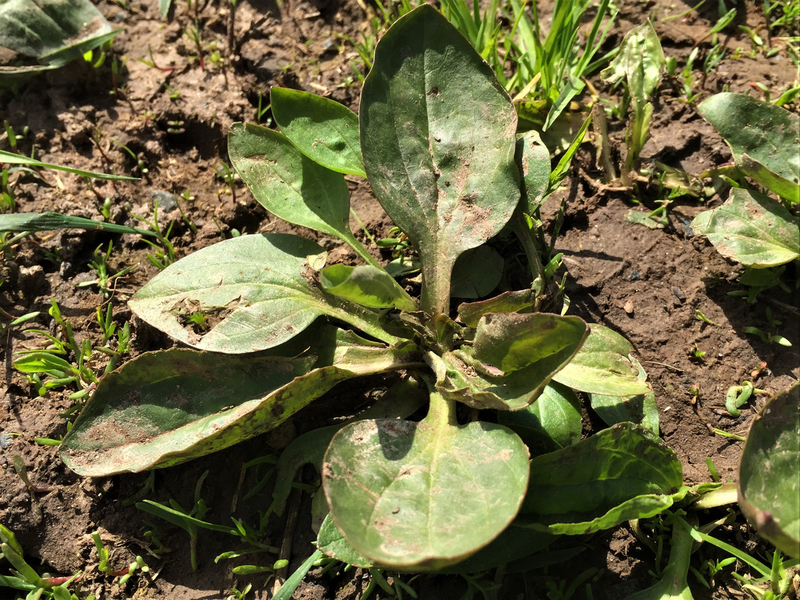 A typical rosette of plantain. 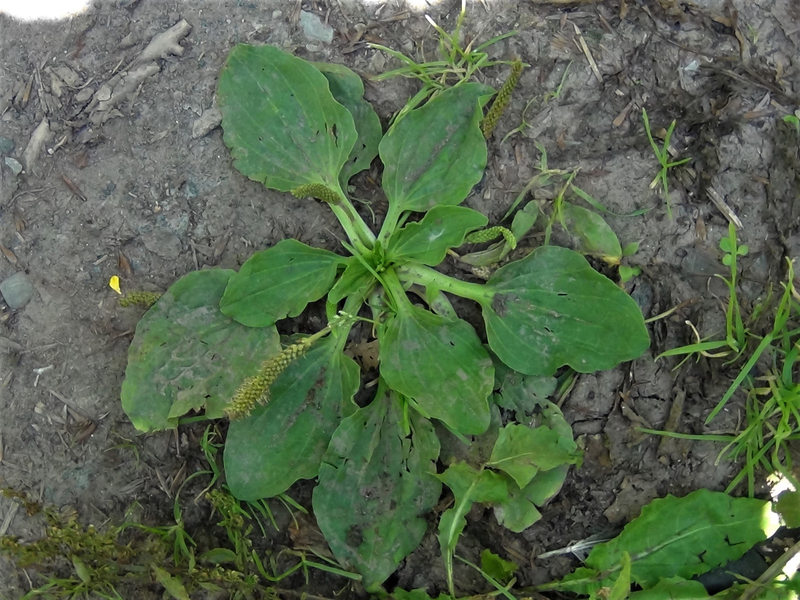 Very common, this plant got the name White or English Mans Foot from the early settlers in the US, where they settled or travelled, Plantain used to thrive. 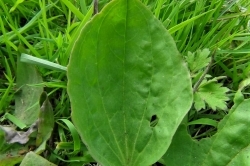 The leaves are broad, oval shaped and grow in a rosette, sometimes with very fine, sparse, white hairs. 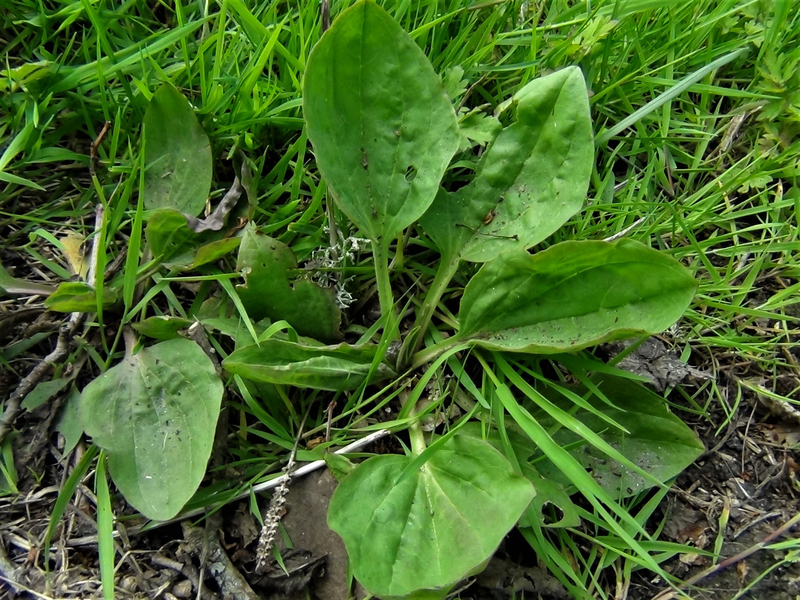 The parallel veins are very distinctive in the plantain family and run from the bottom of the leaf to the top without visably branching. 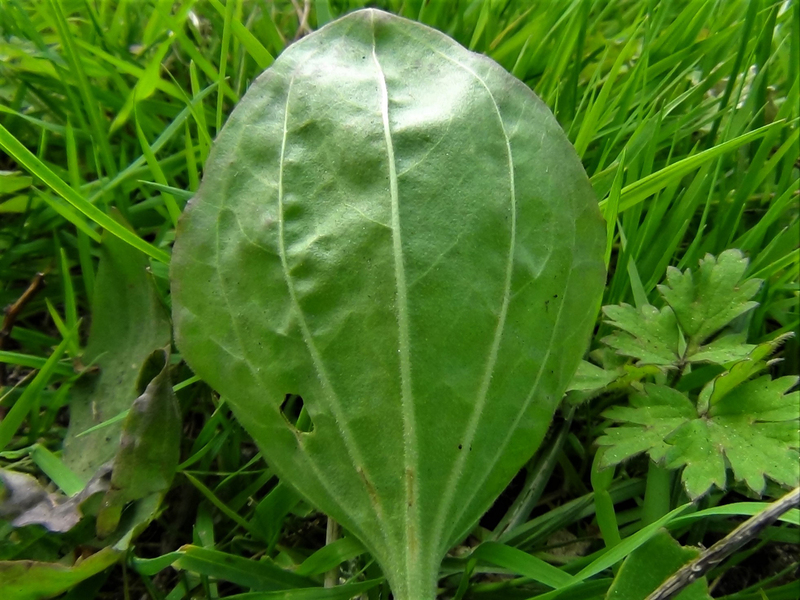 If the leaf is carefully torn, pulling the top of the leaf away from the bottom, the veins can be revealed still attached looking like tiny strings. 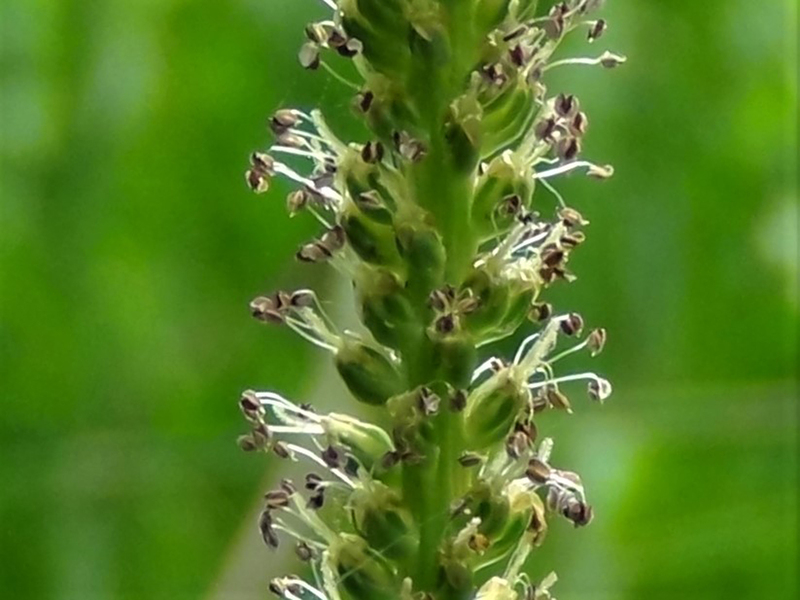 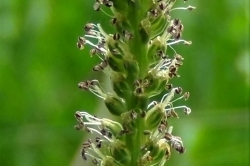 The many flowers are tiny and green to yellow/white, growing on a tall thin flower spike. 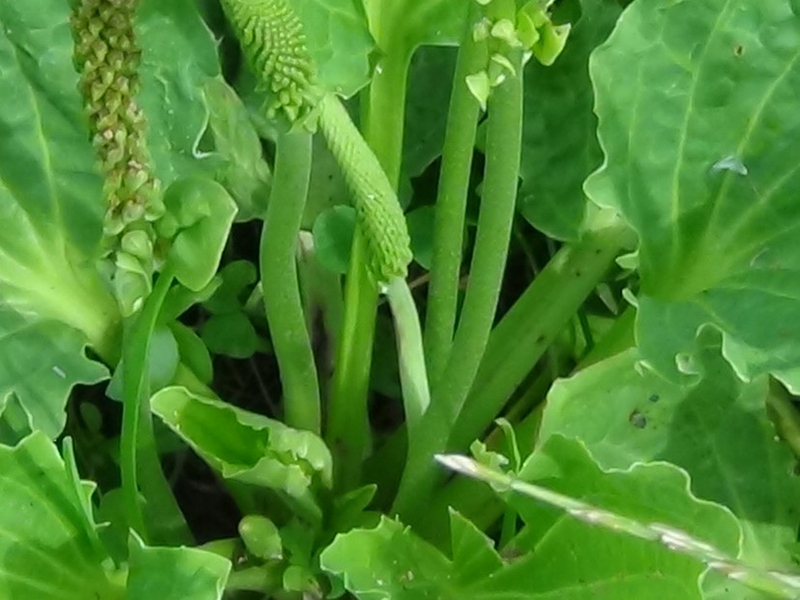 Each plant can produce thousands of seeds. 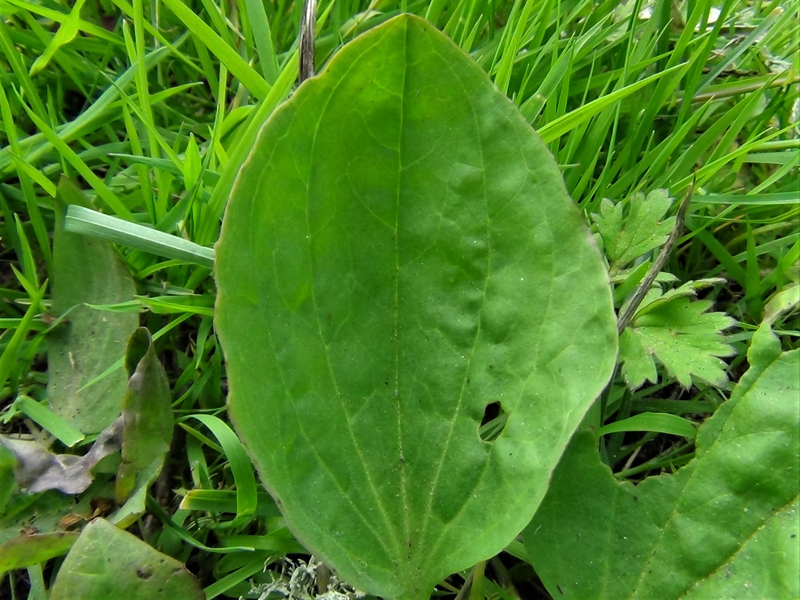 The leaves grow in a rosette with no true stem but the flower stem is tall, thin and covered in flowers or seeds. 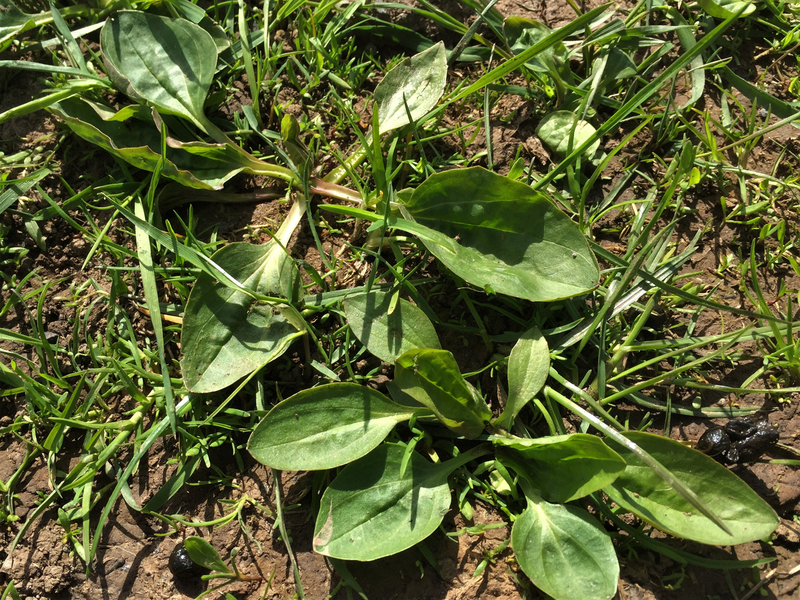 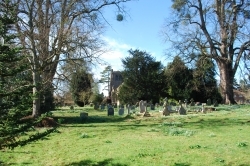 Fields, lawns, roadsides, waste ground, parks and disturbed ground. 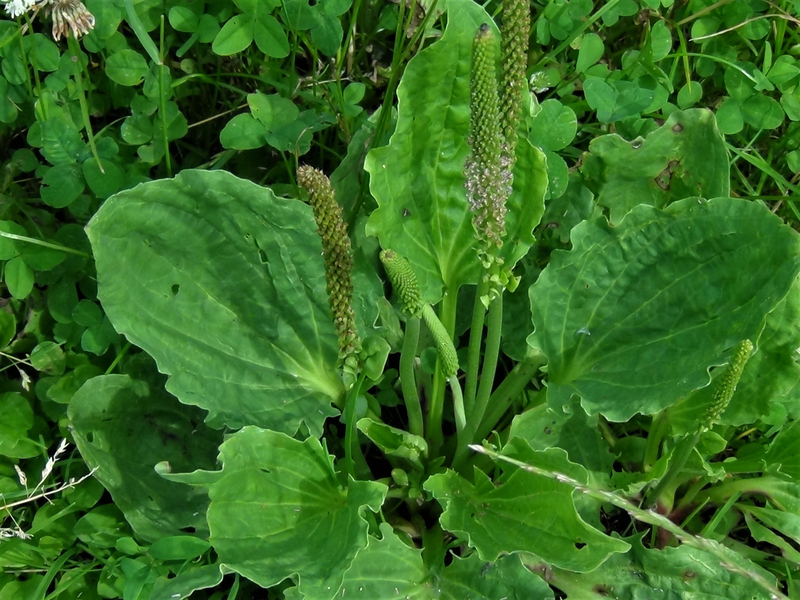 It is a very hardy plant and can usually be found in any environment with soil. 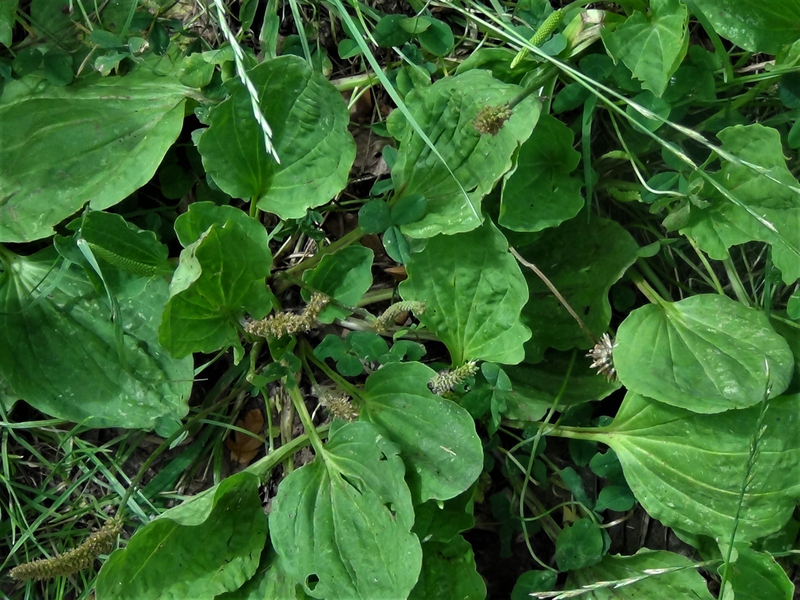 Even the young leaves of this plant taste bitter to us, it’s best used as a medicine. 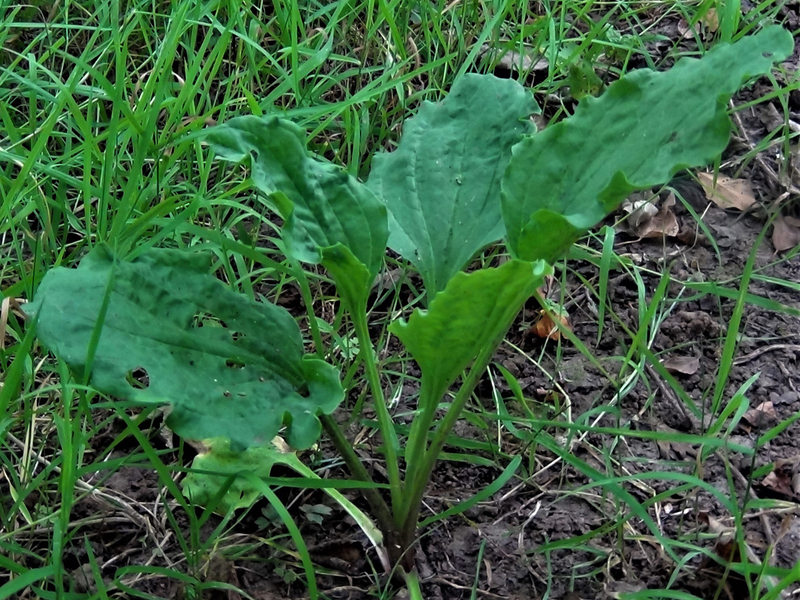 The young leaves are what you are after if there is nothing else to eat or the seeds are relatively easy to collect if a little bitter. 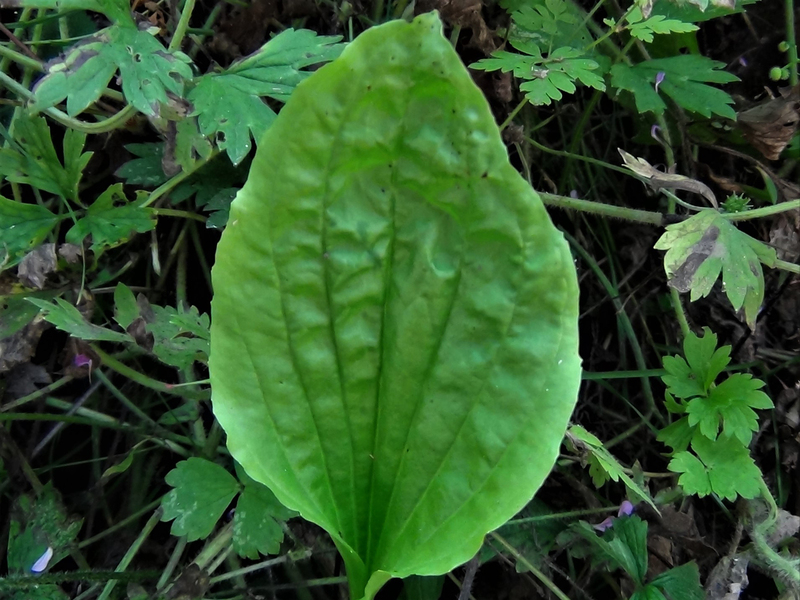 Plantain seems to be a very versatile addition to the medicine cabinet being an antihistamine, antifungal, antioxidant, analgesic and even a mild antibiotic. 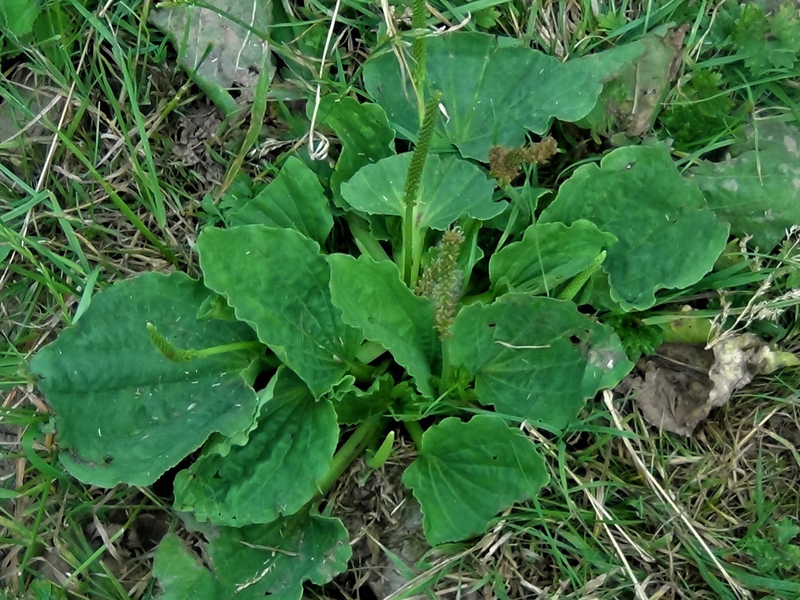 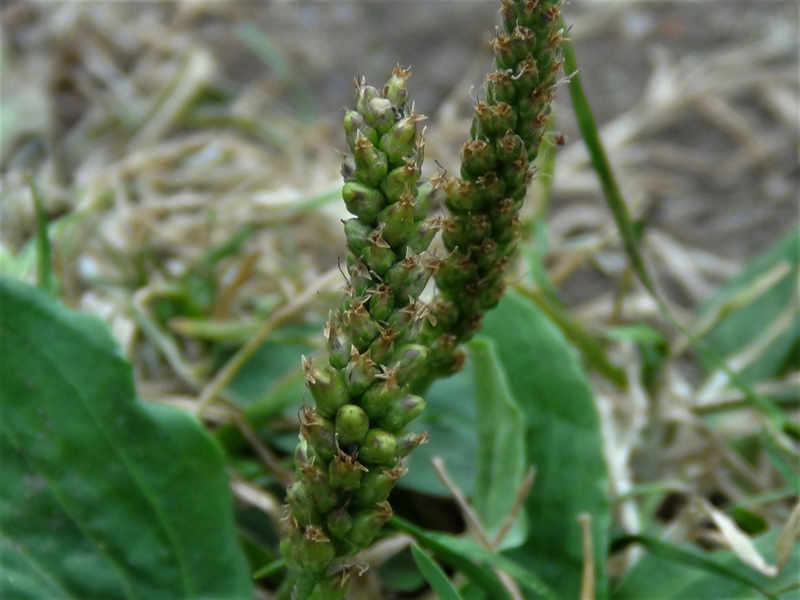 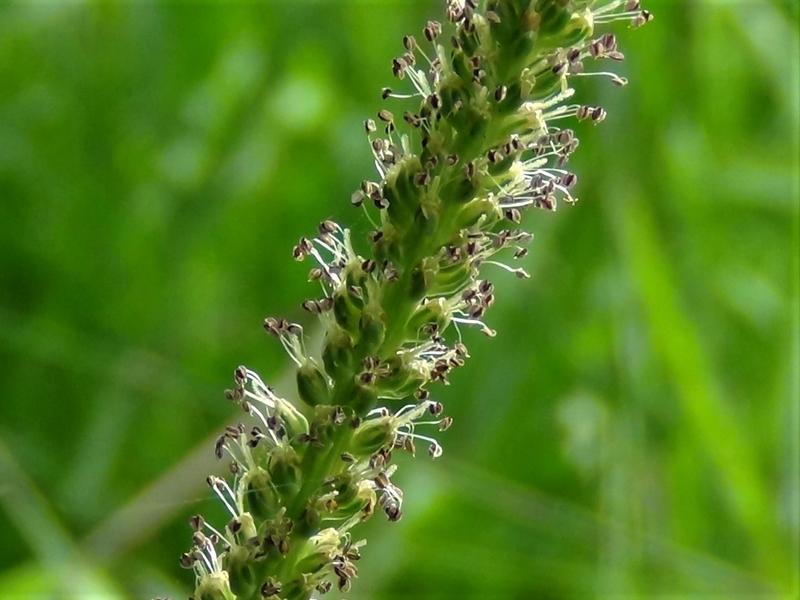 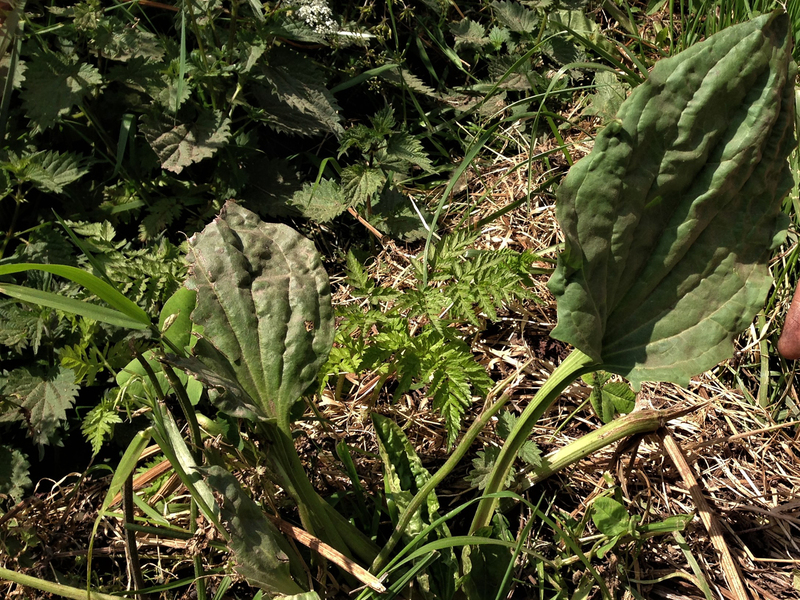 Used as an antihistamine, Plantain is very effective at dealing with nettle stings or insect bites/stings unlike Dock which is just a placebo but if your children get stung and you can’t find any Plantain, placebos work. 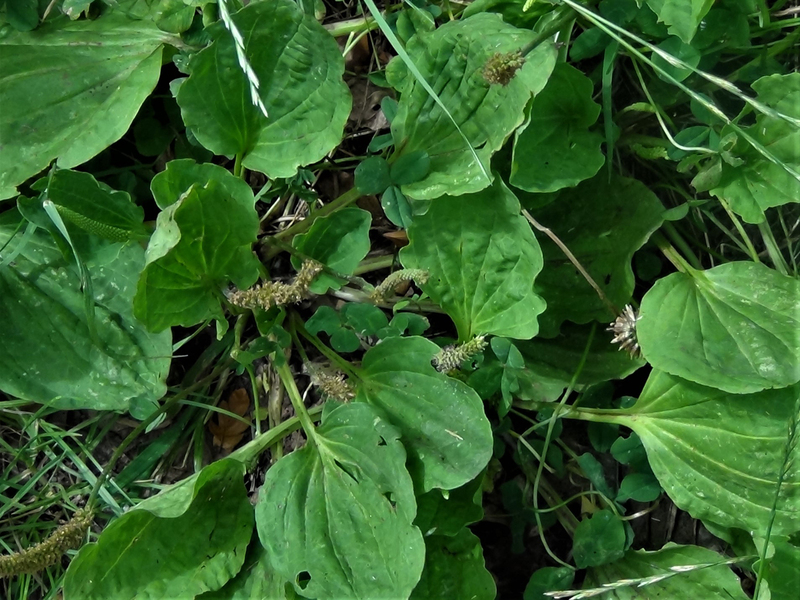 It has been said that the fibres in the leaves have been used to make cord or fishing line in emergencies but this just sounds fanciful.